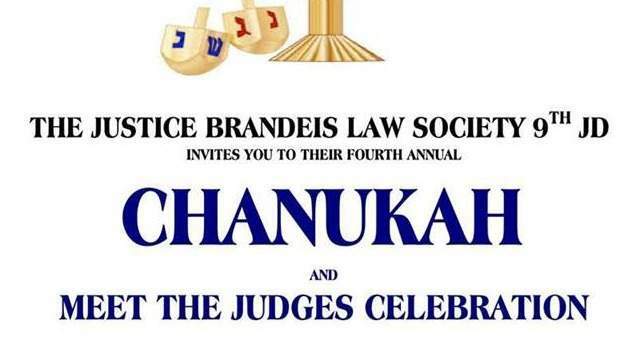 The Justice Brandeis Law Society 9th JD invites you to their fourth annual Chanukah and Meet the Judges Celebration. Please bring a gift (unwrapped) for a youth or adolescent (ages 12-33) residing at the Jewish Board-Hawthorne Campus. In Hawthorne, the Jewish Board has two residential treatment facilities, (RTFs) The Jerome M. Goldsmith and The Sally & Anthony Mann Centers. Here, a wide range of services for youth and adolescents who need personalized support to address the traumas they've experienced is offered. Each program provides comprehensive treatment for youth, ages 12-22. Residents participate in intensive milieu therapy, including: individual, family, and group psychotherapy, pharmacotherapy, special education and vocational training, all in a supervised home-like setting. Family involvement is an important component of the treatment. The holidays can be a particular challenging time for our youth for many reasons. Your support is very much appreciated, as it truly can make a difference!